A fresh scandal involving 818 million yuan (US$120 million) of murky local government debt has been exposed by China’s finance ministry, in another demonstration of Beijing’s determination to clean up the troublesome sector. The municipal government of Zhumadian, a city in central China’s Henan province, is the latest to be caught out by the central government for borrowing irregularities. It is the third local authority to be named and shamed this year, following Qianjiang, Chongqing municipality in March and Zoucheng, Shandong province in April. According to a statement posted on the finance ministry’s website on Friday, the Zhumadian government in September 2015 used taxpayers’ money to repay loans and cover interest payments incurred by one of its financing vehicles, which it then billed as “government service procurement”. “We have closely coordinated with the National Audit Office to crack down on such irregularities or violation of laws,” Wang Kebing, deputy head of the finance ministry’s budget management department, told a media briefing in Beijing. The county at the centre of a Chinese debt crisis“Our provincial authorities are following some investigations … and we will punish [the officials involved] once confirmed,” he said. The finance ministry is currently playing a game of cat-and-mouse with several local governments. Despite Beijing’s efforts to set clear boundaries between government debt and corporate liabilities, it is often hard to separate local governments from the debts incurred by their corporate vehicles. Earlier this year, Moody’s downgraded China’s sovereign rating for the first time since 1989, citing the country’s rising debt level. After years of investment stimulus since 2008, China’s local governments have built up a mountain of debt, and raised fears at home and abroad of its potential to weigh on the banking system and bring an unprecedented level of risk to the country’s financial stability. Since auditing the scale of local debt in 2013, Beijing has sought to regulate its growth by setting a cap on annual bond issuances and preventing illegal financing via the new Budget Law, which came into effect in January 2015. According to official figures, China’s local government debt totalled 15.3 trillion yuan at the end of last year, comprising 10.6 trillion yuan of bonds and 4.7 trillion yuan pending bond replacement. A growing concern is that many local governments are accumulating more implicit debt through a variety of means, including guarantees, trust products and, most recently, the public-private partnership (PPP). The fear for Beijing is that this, together with the contingent debt incurred by financing vehicles, will end up being shouldered by the central government. “Local financing vehicles are ordinary corporations and [since the enactment of the new Budget Law] receive no more government backing for their debt. Their debt will not be paid with taxpayer’s money,” Wang said. Meanwhile, the finance ministry said in its circular released in May that it has stepped up its scrutiny of project financing. Wei Qiang, spokesman for the National Audit Office, said that the government has set a red line on PPP projects that do not belong to the government debt. “Overall it functions well and no … violations have been found yet,” he said.The audit office said last week that the outstanding debt of 16 selected cities around the country has risen by 87 per cent over the past four years, but claimed that China’s debt level is “overall controllable”. China needs to let more companies go bust. 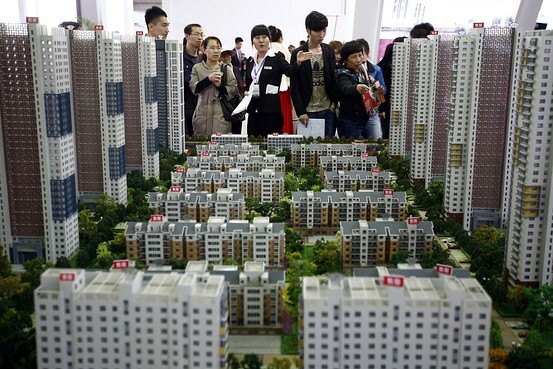 That was the message from several executives at a real-estate conference in Shanghai on Thursday, as the latest string of loan defaults among real-estate developers and a small construction firm have some people talking about bankruptcy more freely. It’s crazy that China hasn’t had a major bankruptcy in recent years, said Ronnie Chan, chairman of Hong Kong-listed property developer Hang Lung Group. Although the country has a bankruptcy code somewhat similar to that in the U.S., it’s rarely used. Borrowers sometimes flee rather than try to work out problems under bankruptcy law, and there are few judges, administrators or lawyers who specialize in the field. Last month, property developer Zhejiang Xingrun Real Estate Co. couldn’t repay nearly $600 million of loans. Local officials in Fenghua, the eastern city where the developer is based, are worried that a bankruptcy could hurt the city’s reputation and have said they’ve set up a task force to deal with the outstanding debt and remaining land assets. On Wednesday, a Shenzhen-listed shipbuilder said property firm Nanjing Fudi Property Developing Co. has failed to repay 105.4 million yuan ($16.9 million) loan, including interest. While China has seen developers default before, government officials have arranged bailouts for troubled firms that allow their underlying financial problems to fester. On Thursday, analysts argued that authorities have to be willing to address the other option: Let the companies go broke, and send a warning to markets, even if it leads to some financial turmoil in the near term. Developers and government officials must be “forced to accept reality,” he said. To be sure, the developer isn’t saying massive waves of bankruptcies are the way to go either. This is acceptable as long as not too many companies go broke at the same time and doesn’t result too much disruption, Mr. Chan added. In other words, they don’t want a “Lehman Brothers” moment. via Why China Needs to Let More Companies Go Bankrupt – China Real Time Report – WSJ. 500,000 . . . is the total tonnage of soya bean cargoes on which Chinese importers have defaulted recently, unsettling markets already nervous about the world’s second biggest economy. Those defaults look alarming. 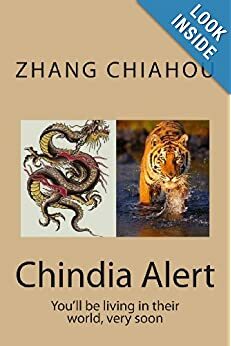 Commodity markets can provide livid symptoms of an economic malaise and the numbers seem to offer evidence of rising credit risk in China. 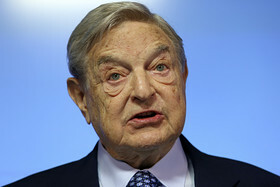 The country’s first corporate bond default earlier in the year merely sharpened sensitiv-ity to any sign of contagion. Shipping industry sources in Singapore and Tokyo believe that there are six soya bean cargoes at Chinese ports that cannot be unloaded and the same number still at sea. Their total value is somewhere around £180 million, which makes this China’s highest-stakes soya bean default since 2004. This in a country that imports nearly two thirds of all the soya beans traded worldwide. Explanations are focused on China’s tightening credit markets and the inability of soya bean buyers to secure the necessary letters of credit from banks. It does not take much of a leap to wonder what that type of credit contraction is having on an economy that has been fuelled lately by an epic creation of new credit. As with other vulnerable sectors in China, the companies that process soya beans have been making losses: suddenly the banks are unprepared to take risks on them and the cargoes have been stranded. The defaults have highlighted other market distortions that go far beyond the inability of an oilseed processor to turn a profit from a hill of beans. Trading companies have routinely used soya bean cargoes, in common with shipments of copper and other commodities, as collateral to secure cheap financing for potentially more lucrative deals and businesses. Because the interest payable on letters of credit is low and the payment terms generous, some have sold the product itself at a loss simply to get their hands on the cash. The reality of these defaults, though, is that they are probably a good thing — or at least part of a well-intentioned plan. Beijing has been uncharacteristically relaxed about these defaults for the same reason that it has been uncharacteristically relaxed about internet giants such as Alibaba infuriating the banks by introducing innovative financial products. Beijing knows it has to reform the financial sector, realises that it will face huge resistance and is looking for leverage. 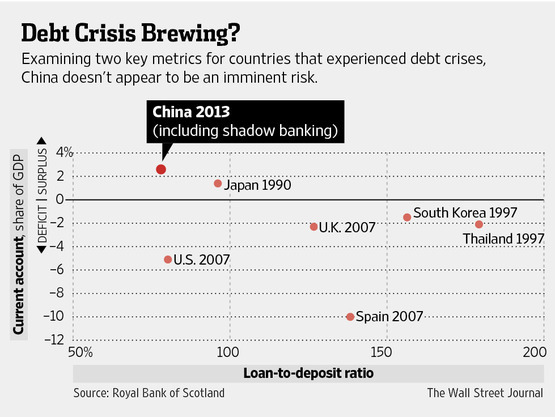 Creating a series of micro crises forces China’s banks to become better at what they are supposed to do. Defaults (on soya beans and bonds) have been noisily paraded in state media to show the banks that they are expected to start pricing risk accurately and coldly. via China in numbers: beans means trouble as commodity markets highlight rising credit risks | The Times. Reuters has contacted over 80 companies with elevated debt ratios or problems with overcapacity. Interviews with 15 that agreed to discuss their funding showed that more discriminate lending, long a missing ingredient of China’s economic transformation, has become a reality. Up against a cooling Chinese economy and signs that authorities will not step in every time a loan goes bad, banks are becoming more hard-nosed and selective about whom they lend to. There are signs that even state-owned firms, in the past fawned over by lenders for their government connections, have to contend with higher rates, lower lending limits and more onerous checks by banks. via Spooked by defaults, China banks begin retreat from risk | Reuters. Latha Reddy Musukula was making tea on a recent morning when she spotted the money lenders walking down the dirt path toward her house. They came in a phalanx of 15 men, by her estimate. She knew their faces, because they had walked down the path before. After each visit, her husband, a farmer named Veera Reddy, sank deeper into silence, frozen by some terror he would not explain. Three times he cut his wrists. He tied a noose to a tree, relenting when the family surrounded him, weeping. In the end he waited until Musukula stepped out, and then he hanged himself from a pipe supporting their roof, leaving a careful list of each debt he owed to each money lender. She learned the full sum then: 400,000 rupees, or $6,430. A current of dread runs through this farmland, where women in jewel-colored saris bend their backs over watery terraces of rice. In Andhra Pradesh, the southern state where Musukula lives, the suicide rate among farmers is nearly three times the national average; since 1995, the number of suicides by India’s farmers has passed 290,000, according to the national crime records bureau, though the statistics do not specify the reason for the act. India’s small farmers, once the country’s economic backbone and most reliable vote bank, are increasingly being left behind. With global competition and rising costs cutting into their lean profits, their ranks are dwindling, as is their contribution to the gross domestic product. If rural voters once made their plight into front-page news around election time, this year the large parties are jockeying for the votes of the urban middle class, and the farmers’ voices are all but silent. Even death is a stopgap solution, when farmers like Reddy take their own lives, their debts pass from husband to widow, from father to children. Musukula is now trying to scrape a living from the four acres that defeated her husband. Around her she sees a country transformed by economic growth, full of opportunities to break out of poverty, if only her son or daughter could grasp one. via After farmers commit suicide, debts fall on their families – The Times of India. “CHINA’S provincial administrations are often referred to as “local” governments. But the phrase does not do them justice. The province of Guangdong, for example, boasts more than 105m people and a GDP worth more than $1 trillion. Only 11 countries (including China itself) have a bigger population and only 15 have a larger economy. Equally impressive is the scale of provincial debts. At the end of 2013 China’s national auditor revealed that the liabilities of local governments had grown to 10.9 trillion yuan ($1.8 trillion) by the middle of last year, or 17.9 trillion yuan if various debt guarantees were added. That was equivalent to about a third of China’s GDP. These “local” debts, in other words, had grown fast enough to become a national burden and an international concern. The audit documented the size of the problem, but revealed little about its location. The debts were all discussed at an aggregate, countrywide level. No provinces were singled out for blame or praise. In the past few weeks, however, almost all of the provincial-level governments have published audits of their own. As well as shedding light on the problem, this information may help to solve it. In principle, the least provident governments are now exposed to public scrutiny. Fiscal shame may help prevent a fiscal fright. But identifying the most indebted province is not as easy as it sounds. The figures can be sliced and diced in a variety of ways. The coastal provinces of Jiangsu (just north of Shanghai) and Guangdong (just north of Hong Kong) owe the most, accounting for 14% of the total between them. But these two provinces also have the largest economies, generating over 19% of the country’s GDP. Relative to the size of their economies, the poor western provinces of Yunnan, Qinghai and Gansu bear some of the heaviest burdens, along with the western municipality of Chongqing, which is renowned for its heavy public investment (see chart). The province with the biggest fiscal chasm to cross, however, is Guizhou (whose impressive Balinghe bridge is pictured above). It had liabilities in mid-2013 equivalent to over 80% of its GDP over the previous four quarters. 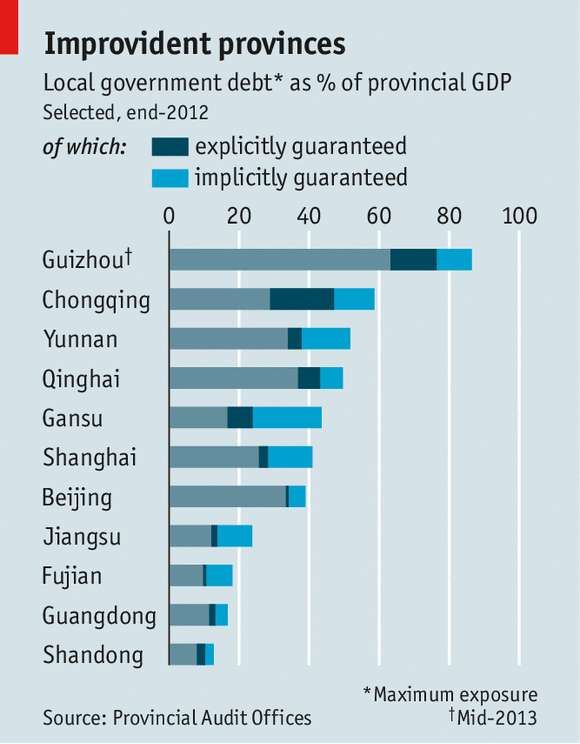 via Local-government debt: Bridging the fiscal chasm | The Economist. Is China headed for a debt crisis? That has emerged as a pressing question over the past year as the country’s overall debt level rises quickly and the recent specter of defaults in the shadow banking system rattles financial markets in China and abroad. For economists at the Royal Bank of Scotland, the answer is “no” – at least not imminently. Comparing China to countries that have suffered recent debt crises – including the United States, United Kingdom and Spain in 2007, and South Korea and Thailand in 1997 – RBS finds that on two key metrics, the world’s second-largest economy is on safer footing. For one thing, China’s loan-to-deposit ratio, which reflects the banking system’s resilience to a sudden drop in asset prices, is the lowest for all the countries tracked — half of Korea’s level and 43% of Thailand’s level when those economies melted down in the late 1990s. Then there’s the current account, which reflects a country’s sensitivity to foreign investment. A current-account deficit can leave developing economies acutely vulnerable to a sudden exit of capital, as India, Indonesia and some other emerging-market stars found out last year. Unlike nearly all the countries RBS examined, China runs a current-account surplus — a reflection both of its export dominance and, critics would say, its related determination to keep its currency undervalued. There’s also the fact that China’s capital controls make it difficult for investors to pull their money out of the country, even if they wanted to. That being said, Mr. Kuijs said investors can expect to see more defaults or near-defaults — like the one that rocked markets in January until the trust product in question was bailed out in fairly opaque circumstances. “Policy makers are interested in changing people’s expectations and changing the moral hazard question, but they’re so careful and so risk averse still that it will take a while before they will just let these defaults happen without doing anything,” he said. So if China isn’t prone to the type of debt-driven meltdown that has befallen other emerging-market economies, could it share the fate of Japan – the other current account-surplus country in the RBS study — which ran up so much debt during its boom years that it has bogged down the economy for the better part of two decades? That’s also unlikely, Mr. Kuijs said. “Japan had finished catch-up growth in the late 1980s, so it was much harder to grow out of the crisis,” he said. “China is more like Japan in the 1960s,” with years of strong growth still ahead of it. 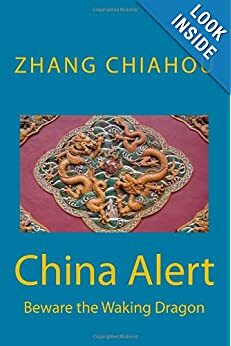 via Is China at Risk of a Debt Crisis? Not Really,Bank Says – China Real Time Report – WSJ. China will soon rate the performance of local governments partly by how much debt they incur, as Beijing tries to wean the country off heavy government investment, state media said. The central organization department, which oversees the appointment of senior party, government, military and state firm officials, said debt will be key when evaluating performances, according to the state news agency Xinhua. Large-scale government investment has helped China\’s gross domestic product expand at double-digit rates for the past three decades. But analysts say China\’s economy has now hit a turning point, and domestic consumption must grow and investment fall to ensure a healthy expansion. via China to judge local governments by their debt: Xinhua | Reuters. 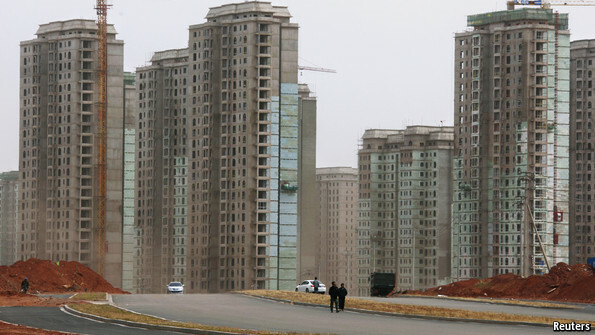 IN CHINA, property prices can keep going up forever. At least, that is what optimists seem to think. They point out that the country is undergoing the largest urbanisation in history. The throngs of migrants from the countryside all need homes, the argument runs. China’s swelling middle classes, many of whom live in shoddy 1980s housing, are also eagerly moving to fancier flats or McMansions. The result has been a spectacular property boom over the past decade. At first glance, it seems the good times are still rolling (see chart). During the first three quarters of this year residential sales shot up by 35% versus the same period a year ago. Prices for new homes rose year-on-year in September in 69 of the 70 biggest cities. In Shanghai, Shenzhen and Beijing prices jumped by more than 20%; in slightly smaller cities, such as Nanjing and Xiamen, they rose by around 15%. Despite these signs of rude health, even some of China’s biggest property moguls appear to be growing uneasy. Wang Shi, the chairman of China Vanke, the country’s largest residential-property firm by volume, has called the market a bubble. Wang Jianlin, the country’s richest man and the chairman of Dalian Wanda, a property giant turned entertainment firm, acknowledges that parts of the country may be experiencing a property bubble, though he thinks it “controllable”. Li Ka-Shing, a Hong Kong tycoon who has long been bullish on China, has started to sell his mainland holdings. The problem is not the wealthiest cities with the most vertiginous valuations. Indeed, in those markets prices may yet go higher. People from all over China buy trophy apartments in Shanghai and Beijing, making their markets as resilient as those of Manhattan and central London. In fact, policies aimed at squelching speculation may be artificially suppressing demand in those places. Shanghai and Shenzhen recently followed Beijing’s lead by requiring that buyers of second homes put up 70% of the purchase price as a deposit. In Beijing, the sale of a second home incurs a 20% capital-gains tax. (This is supposedly a nationwide policy, but is not always enforced in other cities.) Couples with two homes are reportedly divorcing to avoid the tax, since once officially single they can each own a primary residence, and thus sell either one without penalty. Many property developments outside the big cities appear to be ghost towns of this sort. Moody’s, a credit-rating agency, laments that a large and rising share of new supply has gone to smaller cities. People’s Daily, another official organ, recently fulminated against the “huge waste of resources” such construction represents. Nonetheless, by the government’s count, 144 cities in 12 provinces are planning 200 new towns. via Property in China: Haunted housing | The Economist.